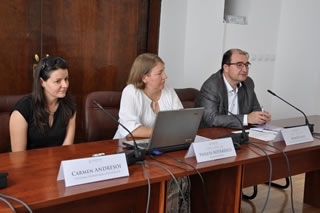 Creating an integrated conflict management strategy within educational pre-university organizations based on an analysis of the existent situation on a national level and launching it in 7 schools from 2 regions (in the course of 6 months). Children and youngsters are encouraged to participate directly, actively and positively, to help prevent discrimination and exclusion. Developing skill and the improvement of the capacity of participants in pre-university education (21 professionals and 56 children and young people from the pre-university educational system) in order to promote a harmonious educational climate and to apply an integrated example of conflict management. Creating a network of exchange and common practices referring to conflict management at the pre-university organizations’ level, with a minimum of 80 members (legal entities) in order to support public authorities on improving the legal background with influences children and youngsters in terms of educational climate.